Appearance - Raccoons are typically about 12 inches tall, 24 to 38 inches long, weighing 15 to 22 pounds. They have a distinctive black fur “mask” on their faces. Raccoon tails are black ringed. Behavior - While raccoons tend to shy away from humans and also are nocturnal and do most of their rummaging at night, you may catch a glimpse of a raccoon around your home if they have made themselves comfy on your property or inside your home. Garbage cans may be tipped over and rummaged through; raccoons may leave little hand-like footprints outside. You may hear something larger than a mouse creeping upstairs in your Waldorf attic. Raccoons are also fond of taking down bird feeders and raiding gardens. They can damage shingles and chimneys if given the opportunity to get onto your roof. Raccoons are highly adaptable and can find themselves anywhere from a rural farm, suburban home to an urban apartment. They are attracted to food, and each one of us has a garbage can full of delicious items that raccoons would love to munch on. For those who enter your home, raccoons are most likely looking for safety and shelter in your Waldorf home. Raccoons causing damage outside your Waldorf home can begin to cause issues like garbage becoming scattered, which is both a risk of other animals showing up and a health hazard for you and your family. Raccoons may also carry rabies, and seeing one during the day is sometimes a sign of a rabies infection which can be transmitted to humans and other animals. Raccoons that make it inside your home can cause structural damage or can get into your insulation to make a home for themselves and their raccoon family. 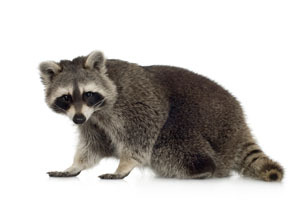 Calling us to perform Waldorf raccoon control ensures you and your family will be safe and that the Raccoons will have to find another place to call home.